Not every laminate flooring applies to everyone. 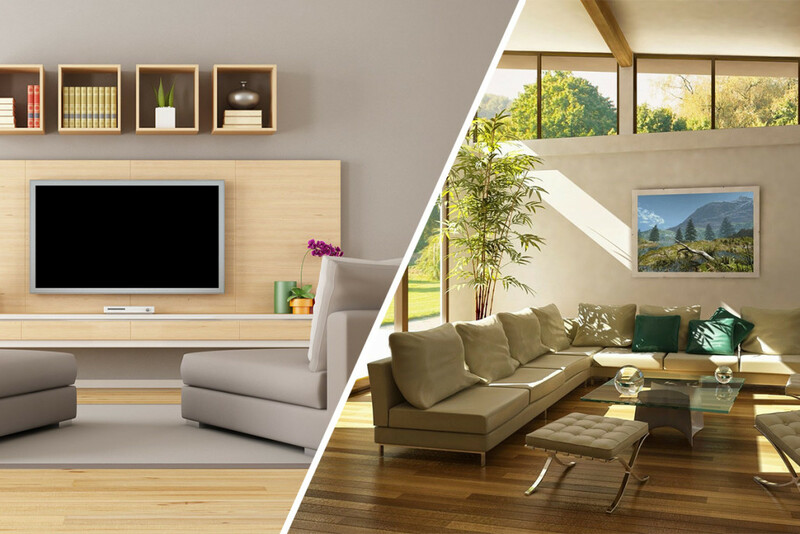 Read this quick guide to know which laminate is right for you! What kind of wear and tear will my floor be exposed to? Laminates sure are tough and durable—but you need to pick the right laminate for the job. If you’re laying a floor in an office exposed to lots of foot traffic, office chairs on castors and high heel shoes, you’ll need to pick a laminate with a higher AC (Abrasion Class) rating. Matching the AC rating to your needs is easy. AC1 Moderate Residential. Built to withstand only light residential use. Suitable for closets or bedrooms. AC2 General Residential. Built for moderate foot traffic. Suitable in residential spaces that don’t see a tremendous amount of wear and tear like dining rooms or living rooms. AC3 Heavy Residential/Moderate Commercial. Built for all kinds of residential use including high–traffic rooms and even commercial spaces that have light traffic like offices without off-street traffic and hotel rooms. AC4 General Commercial. Built to withstand every kind of residential use as well as more heavily trafficked commercial spaces that have off-street traffic like offices, cafes, and boutiques. AC5 Heavy Commercial. Built for the busiest commercial uses and high–traffic spaces like department stores and government buildings. What will my laminate floor look like once installed? It should drastically improve the look of any room. However, trying to decipher what an entire room will look like from a small sample is something most people find very difficult to do alone. Considering the cost of purchasing and installing a new floor and the fact that you won’t be doing it again anytime soon, buying an hour or two of an interior designer’s time can be very worthwhile. Color. As a general rule of thumb, the color of an installed floor can seem darker than the sample. That’s because you may be looking at your sample near a window or in a room other than where it will be installed. It’s also sometimes difficult to imagine the color you hold in your hand multiplied by the hundreds of boards that will fill your room. Darker colors tend to absorb light and lighter colors tend to reflect it. When in doubt about color, it’s best to get a second opinion. Grain. Every piece of wood laminate displays a grain. Some grains are bold, with swirls, bird’s eyes and notches whereas others patterns repeat, and others still display almost no grain at all. To make it even more complicated, your sample represents only one board in a floor and the other boards will display slightly different grain patterns. So, do you like a grainy floor or a floor without grain? It’s best to decide before you buy. If you find deciding too difficult, a quick consultation with a designer can help you get to know your tastes. Tone. Isn’t color the same as tone? Close but not exactly the same. If you’re thinking about a medium brown laminate floor, you’ve decided on color and perhaps even depth of color. But what you probably haven’t decided on yet is the tone of medium brown. Brown woods can vary from yellow, to red, to chocolate or even black in tone. It’s something worth thinking about, especially if you’re trying to match your floor to fitted furniture. Plank Width. Today’s laminates come in many plank widths with the average width anywhere between 3 ¼” – 5”. If you want something out of the ordinary, you can pick your floor for its plank size. Many people choose wide planks because it takes less time to install. Others prefer narrow board planks for a more traditional look. Only you will know what’s right for you. Edges. Every plank of laminate has an edge—4 in fact. Those edges have to be finished in some way, shape and form. Many laminates now have different edging that can help you get the look you’re after. There are beveled edges for a more rustic or traditional look. Eased edges also known as a “micro-bevel” to simulate the look of prefinished hardwood flooring. As well as no edges for a seamless surface and a French bleed on the edges for a truly dramatic finish. There is no right or wrong—just the look you prefer. Get to know your edges. Texture. Don’t be surprised but laminates can have texture. In fact, innovations in manufacturing now mean that you can buy laminates that are either embossed with a grain printed on top of the décor layer, handscraped to mimic genuine handscraping, or embossed in registration where the grain and embossing match up exactly. Finish. Laminates come in a variety of finishes. You may be more familiar with the term varnish or gloss that is used in the world of hardwoods but the idea is the same. All laminates come pre-finished so make sure the one you buy has the finish you want whether it’s satin, semi-gloss or high gloss (aka Piano Finish).